Don and I visited Luray Caverns last week. It’s a bit touristy, but still breathtaking in spots. 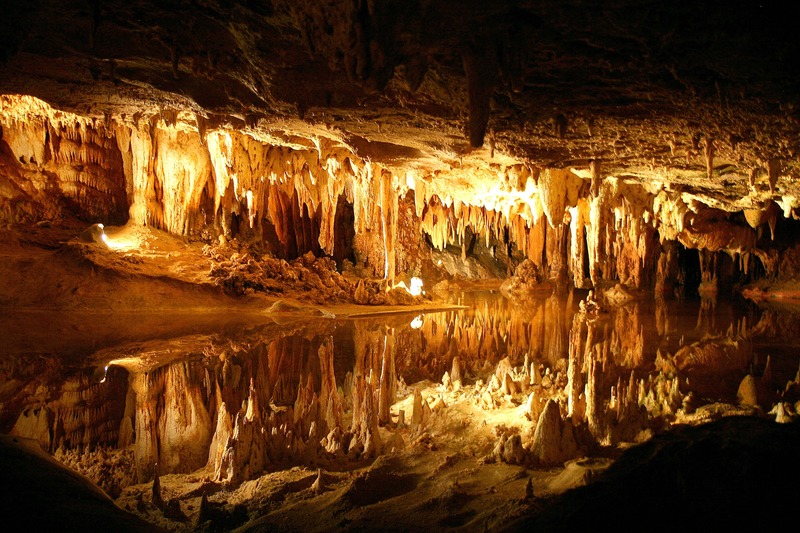 This is Dream Lake, the largest body of water in the caverns. However, its deepest point is not more than 18 to 20 inches. 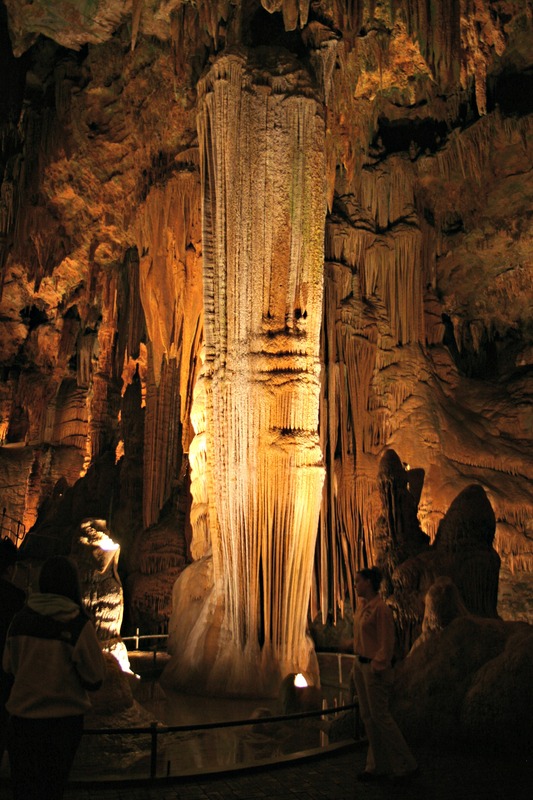 The “lake” creates a mirror image of the stalactites hanging from the ceiling. The white formation in the background of this photo is Titania’s Veil. 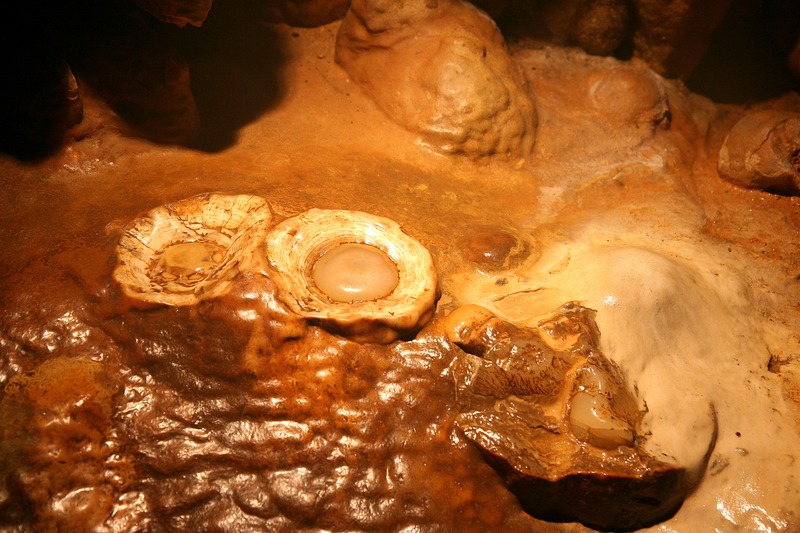 It’s made of pure calcite, the result of spreading crystalline deposits. These deposits, commonly called flowstone, spread laterally coating walls or ceilings. The slogan says famously that Virginia is for lovers, but it’s also for cavers.The land is riddled with them. 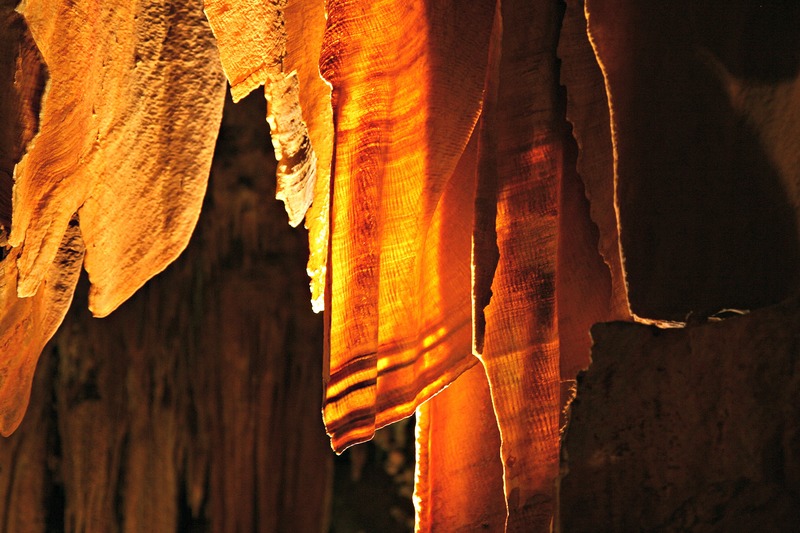 Virginia is the only state with an independent cave board, and the bureaucrats have identified more than 4,000 caves, ranging from shallow crevices to expanses spidering under the hills and hollows along the limestone backbone that runs northeast from Bristol to Front Royal. Spectacular! Thanks for taking us along! This is one of the coolest blog posts EVER!! Road TRIP!!!!!! Amazing and beautiful! Do you know how tall that next to last formation is? I know our guide told us how tall it was, but I can’t remember for sure. I think somewhere in the neighborhood of 15 to 20 feet. Wow! Those pictures are amazing! Touristy of not, it must have been incredible to see. Thanks for sharing! Wow- so beautiful! You’d never know that it’s only 20 inches from those photos. Your pictures capture a lot of the beauty, but nothing is more breathtaking than seeing it in person. We took our boys there many years ago. Thanks for sharing and bringing back fun memories! How beautiful! And so different than the lava tubes we get in Oregon! Stunning! You can imagine all kinds of mythical creatures living there! Wow, how beautiful is this place? 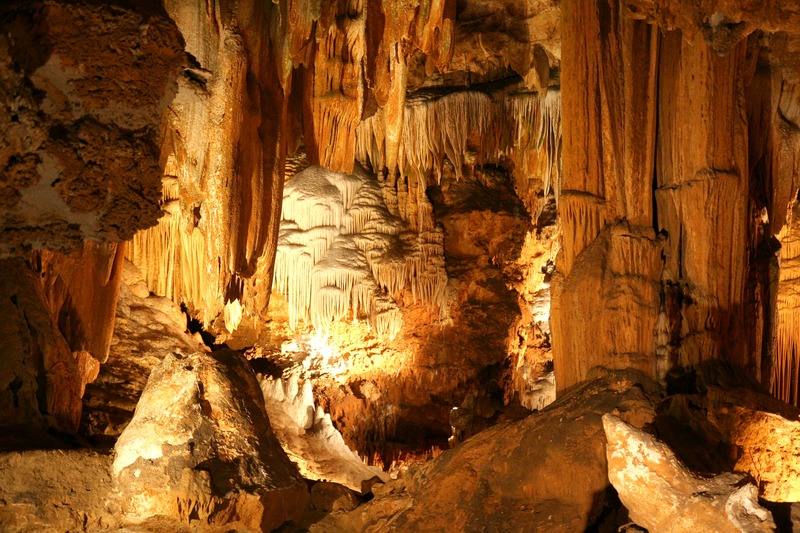 I had no idea there were so many caves in Virginia. I like the caverns and the lake, and those adorable donkeys.